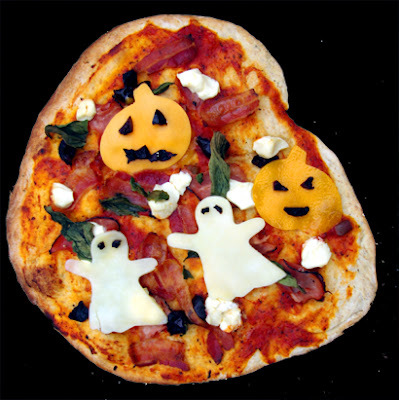 Some cheese and a few Halloween cookie cutters and you can make yourself a fun and easy Halloween pizza like this one from Within the Kitchen. Check out her post to find out how to keep those fun Halloween shapes looking like actual Halloween characters! 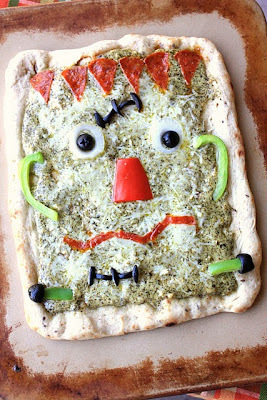 This idea also works really well for a braided mummy sandwich too!